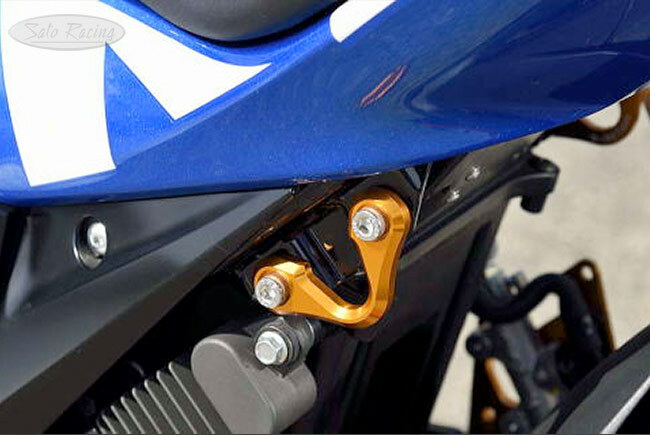 This compact anodized billet aluminum Racing Hook fits nicely over the exposed frame holes on a 2018 Suzuki GSX-R125 / GSX-R150 (or other Suzuki models that share the same 58mm hole spacing) if the passenger peg bracket has been removed, providing a sturdy tie-down loop useful for strapping down your bike. Hook is sold individually for single-side installation, or get 2 of them for a L/R set. 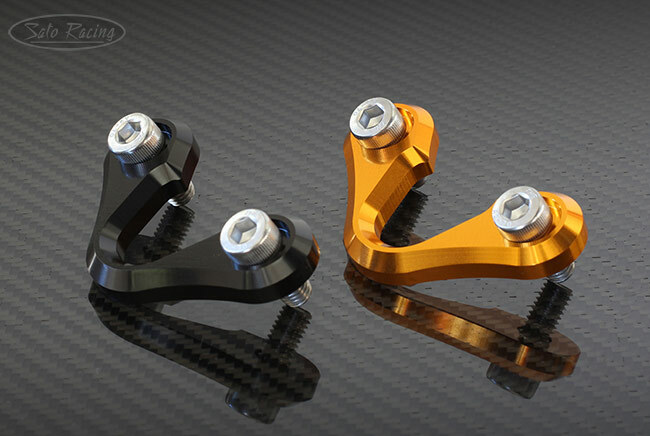 Choice of Black or Gold anodized finish. Includes stainless steel bolts.